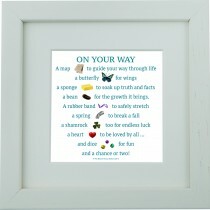 A perfect gift for someone starting out, leaving home, graduating or more.Frame detailsNeutral limed.. 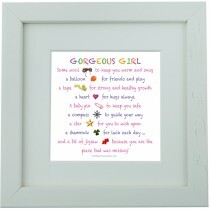 Perfect house warming gift.Frame detailsNeutral limed wood frameDimensions: 285mm x 285mm x 45mmCome.. Perfect for that special wedding gift.Frame details: Neutral limed wood frame.Dimensions: 285mm x 28.. Perfect to celebrate the arrival of a new baby.Frame detailsNeutral limed wood frameDimensions: 285m.. Perfect to celebrate the arrival of a new baby boy. 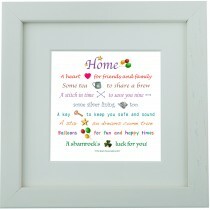 Frame detailsNeutral limed wood frameDimensions:.. 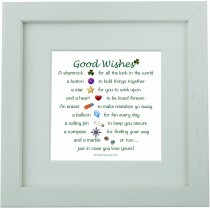 Perfect to celebrate the arrival of a new baby girl.Frame detailsNeutral limed wood frameDimensions:.. 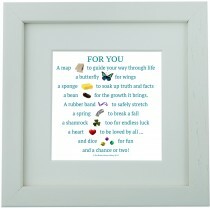 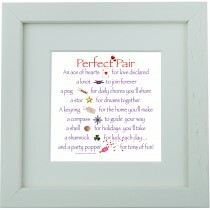 Perfect for not only wedding gifts, but also engagement gifts or setting up home together.Frame deta..